This is for those of you who experience RPM dips, on/off throttle stumbles, etc. Though you can sometimes get away with setting the target idle RPMs, flashing then turning the key, there’s an initial setup you have to go thru in order to ensure your car will idle properly. This setup is actually taken out of the Mitsubishi manual for our cars. The process is exactly the same as any other Mitsubishi. This post applies to turbo and NA cars as well! All our cars are approaching the 15+ year old mark. 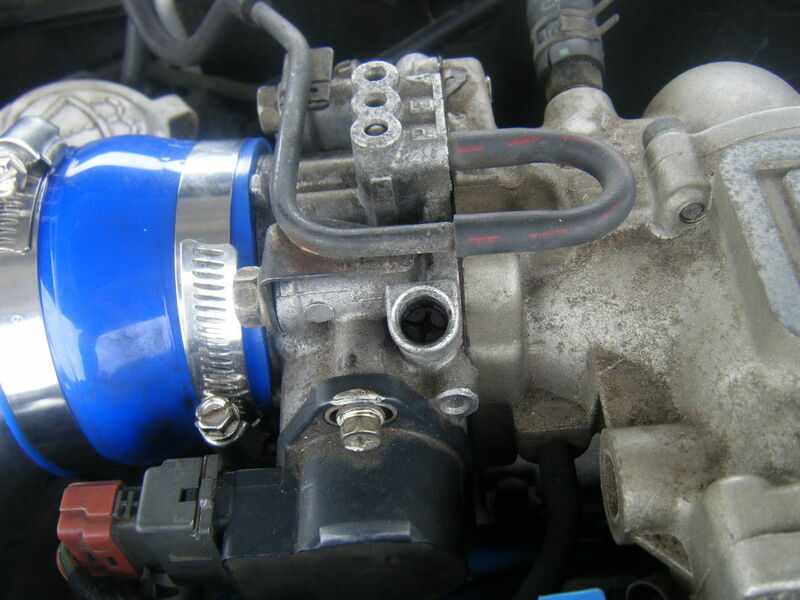 The throttle body is the crucial part of the engine which regulates idle and cruise operations. 90% of all issues come from sensor failures, clogged FIAV and leaking BISS and throttle plate screws. To compound the issue, nearly every car gets this oil muck saturated within the small chambers within the throttle body which impact airflow. I’d highly highly HIGHLY recommend you get it replaced with a NEW unit from mitsu, or contact April to get it rebuild. She does great work rebuilding our throttle bodies!! If you can afford $1500 for turbos, then you can afford to get your throttle boy rebuilt. Don’t be cheap. After your new throttle body is installed, it’s crucial that you don’t have the throttle cable too tight. You can verify this by logging TPS with EVOScan. You should see values somewhere between 10% and 13% with your foot off the gas. You also need to verify the idle switch is working with EVOScan (it’s just a simple on/off). You see a value of 1 with your foot off the gas pedal, and a value of 0 with it slightly depressed. Note: Some people are reporting that EVOScan isn’t logging the idle switch correctly. Note: In this image the cover for the BISS is removed (usually it’s missing on many cars). If you recall in the chrome manual I talked about the idle timing stability control. The ISC will get the airflow in the right range for your desired idle RPM but it’s ignition timing which is used to keep the idle at the desired speed. You’ve probably noticed that at idle, your timing values are always inconsistent and constantly jumping around. This is why. 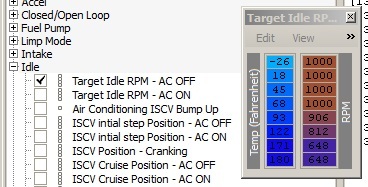 When calibrating the BISS, the ECU has an input switch to disable this function along with the ISC all together so you can properly set your idle without the ECU trying to counter your adjustments. This is called SAS mode. There are 2 ways you can put the ECU into SAS mode. The first method is shown in the WIKI linked above. The second method (the easy way) is to use EVOScan. These are a list of all the MUT commands I’ve found in the ECU. 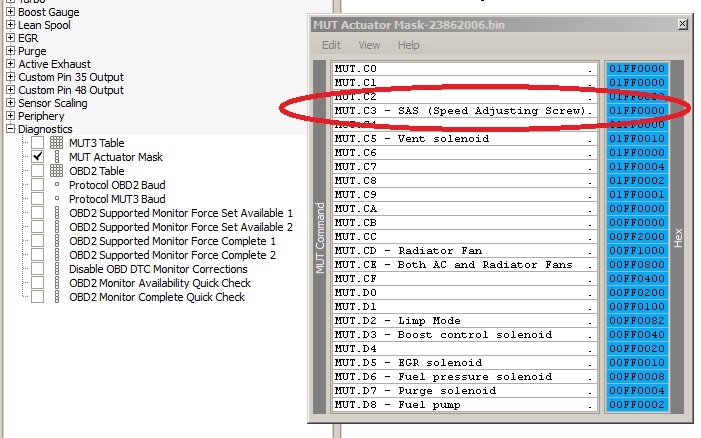 What these commands do is they manually activate switches on the ECU to test a function. In this case we are going to use MUT command C3 to put the ECU into SAS mode. So start off by driving your car till the motor is completely warmed up, then pull over and let the motor idle. Open EVOScan and scroll down to the bottom. If you enter in the MUT command into the Custom Request box, then check the repeat box, you will activate the switch. Very handy feature for testing solenoids/relays/fans to make sure they are working properly! So you have your engine warmed up and idling what you need to do now is data log RPM. You can NOT use the stock Tach to set your idle. It’s not accurate enough to tell you the exact engine RPM. 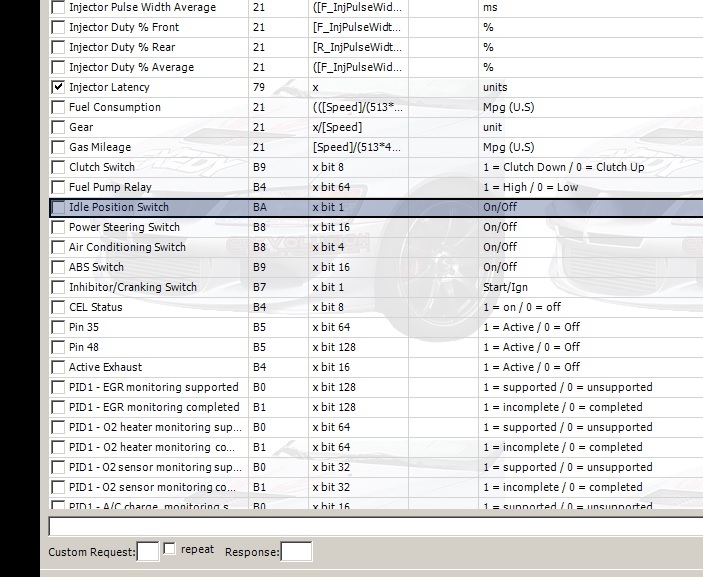 Start your datalog and monitor your engine RPMs appearing on the screen. In this case, we just want to put the ECU into SAS mode so you just type C3 into the Custom Request box then check repeat. As soon as you hit enter (with the logger still connected), you’ll see some numbers appear in the Response box telling you SAS mode has engaged. You’ll also notice your engine idle will change. Now is when you pop your hood and adjust the BISS/SAS. A simple flat head screw driver will work just fine. Turning the screw clockwise will lower your idle and counter clockwise will raise it. You’ll notice very suttle turns will make a HUGE difference in RPMs. Just a 1/16th of a turn can make as much as 100 RPM difference. Stock these cars are setup for 650-700rpms at idle BUT you can make this any value you’d like. I typically go for 8 or 900rpms for better oil pressure and smoother idle with cams. Just remember to match the target idle RPM tables to whatever RPM you’re trying to manually set it to in SAS mode! Once again, disregard the stock tach while you’re setting the idle! Look at the RPM number you see in EVOScan! After your idle is set, uncheck the Repeat box and delete C3 from the Custom Request box and the ECU will return out of SAS mode. You will be absolutely amazed how much smoother your car will run now. If you can’t get the ECU into SAS mode with EVOScan you’ll have to ground the brown connector located by the battery. If your engine dies right away when you select SAS mode, you’ll have to unselect it, open the BISS a few turns, restart the motor, then re-engage SAS mode. Your motor probably died from too low of an RPM. Opening the BISS will raise the idle enough for you to adjust. You will NOT be able to start the motor while the ECU is in SAS mode.